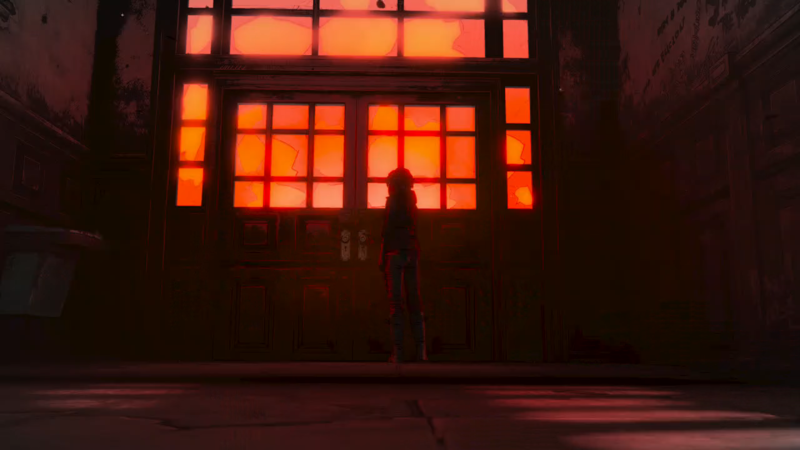 The Walking Dead: The Final Season provides a lot of the same tension-filled decisions and situations this series has been known for while concluding Clementine's story with a bang. The Walking Dead: The Final Season provides the same exhilarating feelings of anxiety as you attempt to make the best decision under pressure. Following the same formula as past seasons Clementine must attempt to connect with a new group of survivors while raising a child. The choices are still impactful and the narrative full of great characters but the need to solve basic puzzles and the poor shooting system slows down much of the momentum. 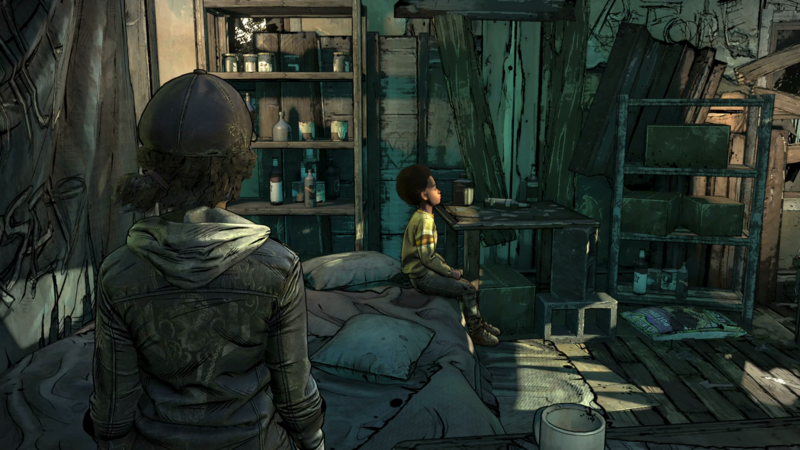 The Walking Dead: The Final Season provides a lot of the same tension-filled decisions and situations this series has been known for while concluding Clementine's story with a bang. As the name implies this is the final season of Telltale's The Walking Dead. Clementine is now taking care of a child named Alvin Junior while trying to locate food, water, and shelter for 2. Most importantly, Clementine serves as teacher and mother to Alvin Junior. The boy has no understanding of the world before the Walkers and depends on Clementine to teach him not only how to survive but practical things such as reading and morality. Similar to how Lee's actions affected Clementine's behavior the actions of Clementine directly influence Alvin Junior. He'll constantly voice what Clementine has said to him and acted on. Since A.J. has had little interaction with people he depends on Clementine to provide advice on situations he doesn't understand. Simple things such as burials, parties, and music are new to A.J. and look to Clementine to explain them. 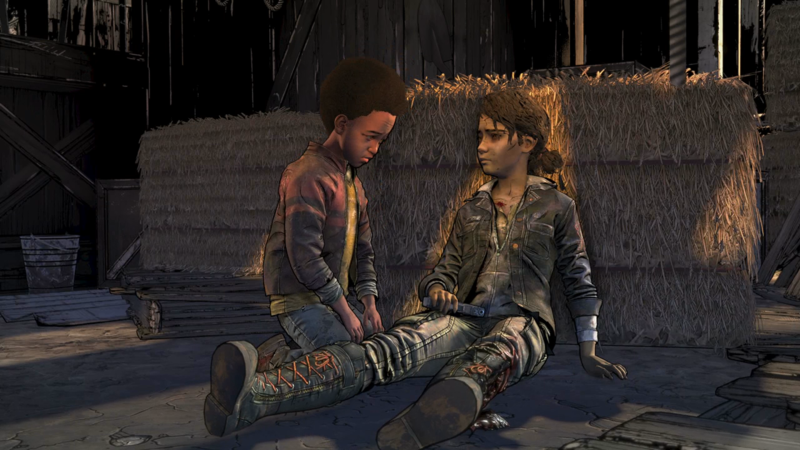 Often you'll forget that Clementine is also still a kid and just trying her best in the situation. Like other season's of Telltale's The Walking Dead the entire slate is wiped clean. With the exception of a few lingering decisions from past episodes, the people you encounter are entirely new. 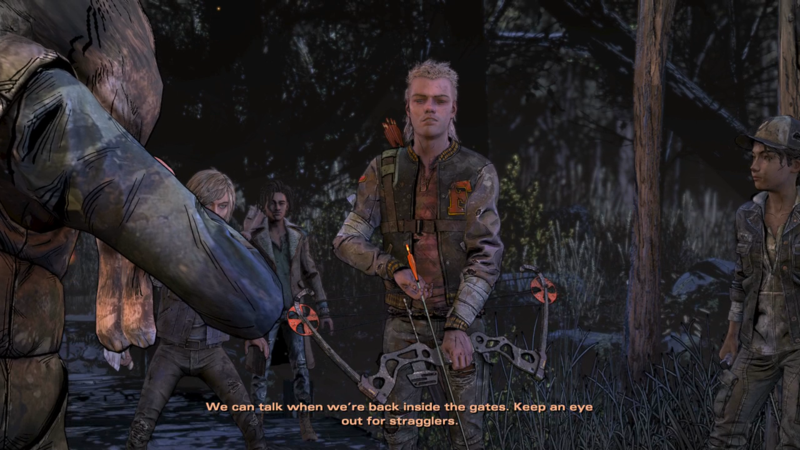 The development team decided to use a group of children as the new crowd of survivors Clementine will engage with. It's a breath of fresh air as previous survivors always used their age as a sense of authority but now everyone is mostly on a level playing field. Each one of the characters is wonderfully voiced, each with distinct personalities that are revealed over the course of the adventure. Some are left in the background but a handful of given the spotlight. Louis is an energetic teen who can be a bit too cocky and Violet is shy but shows incredible potential for leadership. It's clear that no one knows what they're doing and attempt to establish rules and positions to create a sense of order. But the narrative never tries to showcase them as adults, compared to Clementine's previous groups there's a constant sense of immaturity among the kids. They hit when angry and constantly call each other names, things you would expect kids to do. The children live in an old school where they were students, troubled youths abandoned by most of the facility following the outbreak. At first, things seem better as A.J. and Clementine have grown weary from surviving outside. In addition, Clementine has witnessed how adults have been the primary cause for many of the problems in her past groups and take pleasure knowing kids are running this group. But in true The Walking Dead fashion secrets are uncovered and dark details about the group are slowly revealed. This leads to the primary form of interaction, making decisions. Players will choose different dialogue options and difficult decisions that will alter the story. The game provides a helpful prompt to indicate that something you said will have consequences. Much more important choices are usually highlighted with only 2 options and usually happen at the end of the episode. These have meaningful outcomes of how characters will act towards you and what direction the story will take. This high amount of optional paths encourages a lot of replayability. Finding out what actions will lead where but the developers have included helpful timelines that indicate where critical choices were available at the end of episodes along with details about how each character was feeling. But those seeking to change a specific choice will have to replay the entire episode. There's no dialogue skip option and with each episode clocking in at about 2 hours prepare for a lot of monotonous decision making if you just want one change. Outside from decisions players can collect a series of collectables to decorate your room. These are trinkets littered around the world that Clementine has an interest but mostly serve no basis other than achievements/trophies. You also occasionally have to solve basic puzzles, which mostly break up the action. Speaking of action, you're going fight Walkers and other humans throughout The Walking Dead: The Final Season. Much of the combat system focuses on quick-time events, moving a reticle above a specific target, and third-person combat. QTEs have been a staple within Telltale's history of games but with The Walking Dead: The Final Season less have been placed after massive community feedback. Third-person combat is separating into melee combat where you stun and kill Walkers and third-person shooting that usually involves using a bow and arrow to take out free moving targets. It's all serviceable but the shooting system feels floaty and doesn't provide that sense of impact. The Walking Dead: The Final Season has its highs and lows but leaves the player with a satisfying end to Clementine's long adventure. Seeing this young girl change, adapt, and survive so many horrible situations allowed her to endure things that would break others. This last adventure is not an easy one and doesn't offer a completely solid conclusion to Clementine's adventure.